The combined use of an antique parchment map and a modern watercolor overlay creates a unique yet classic-looking piece. This shower curtain is digitally printed to create crisp, vibrant colors and images. Made to order in the USA, with 12 button holes at the top for shower hook placement. 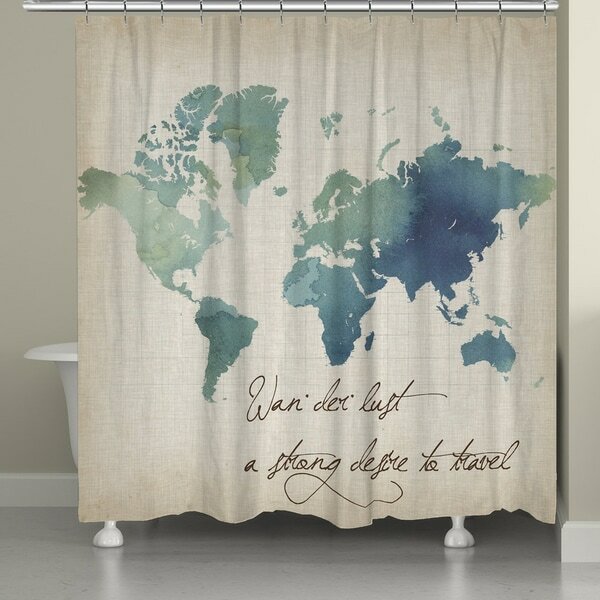 We used this shower curtain in our traveled theme bedroom/bath suite and we love it!! Colors are exactly as seen - just what we were looking for!! "Any chance this will go on sale? If so, I will order it." Hello SUSAN M B., prices and availability of products on our site are subject to change without notice. Thanks for shopping with us! I love the world map.